Your mattress is without a doubt one of the dirtiest object you will have close contact with during your entire life. 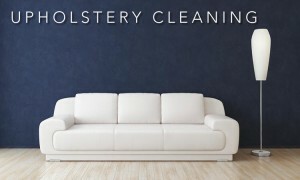 Welcome Capital Mattress Cleaning Canberra, a professional and reliable cleaning company that has built a reputation on trust, quality of service and competitive pricing. With offices in Canberra, we offer office cleaning, contract cleaning and commercial cleaning services throughout Canberra and the Home Counties. We operate a ‘green’ policy using environmentally friendly cleaning products and we work with our clients to recycle materials and reduce waste, thereby managing our joint effect on the environment. We work with a wide range of organisations from large multi-nationals to small start-ups requiring just a few hours cleaning per week. When most people think about mattress cleaning it's to either get rid of unsightly marks on it like sweat stains, blood or urine or to clean it for removing dust mites and for general hygiene. However, this is a very specialist process and careful thought should be given to how this is done as a mattress is very different to a other cleaning for which there are established and effective methods of cleaning. Contact us info@capitalcleaningcanberra.com.au and @ 1300 402 628.